Coach Tom Ferry does and “outstanding” job breaking down what it takes for you to meet your business and financial goals for the year. In this short video, he explains the critical key components needed to achieve personal success. Tom travels the world coaching some of the top minds and top producing agents in the World. His knowledge and expertise on the subject of business and goal planning is tried and true in any market and in any geographical location. Now, using the Agent Assist formulas below designed around what Tom explains in his video, we’ve simplified the entire process. 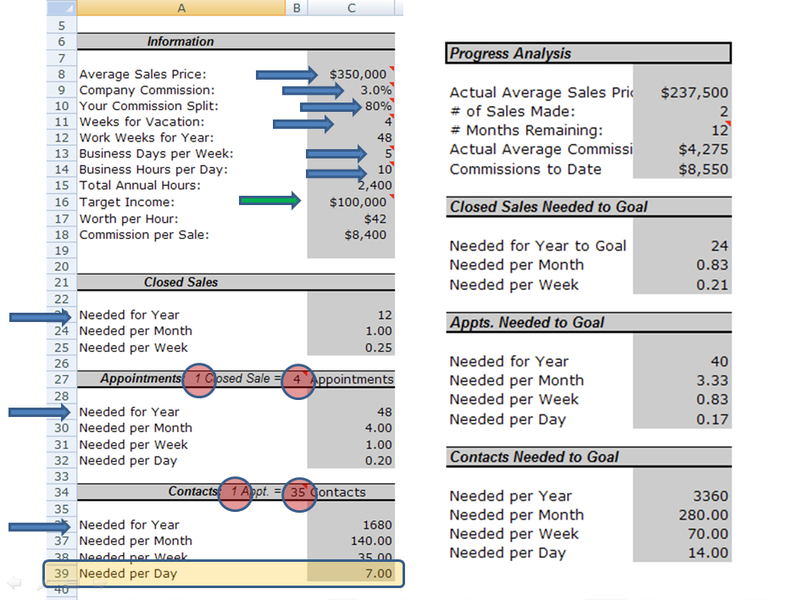 In a simple 7 step calculation, this tool will not only help you achieve your business and financial goals, you’ll exceed them! 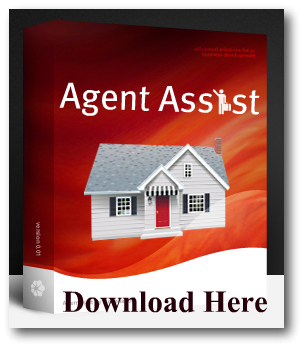 This works for any agent in any market in any location. In the above sample, we used an old NAR statistic that says 35 contacts gets 1 appointment, and 4 appointments closes 1 sale. With a $350,000 avg. sales price using 3% as the commission, we are able to determine exactly how many contacts are needed (per day) for this agent to reach their financial goals. The reality and truth to the entire “success” process is that it takes contacts to get appointments, and appointments to close transactions. Try Tom’s suggestions, use Agent Assist to define and specify exactly what your goals are, and then break it down into bite size and realistic pieces. 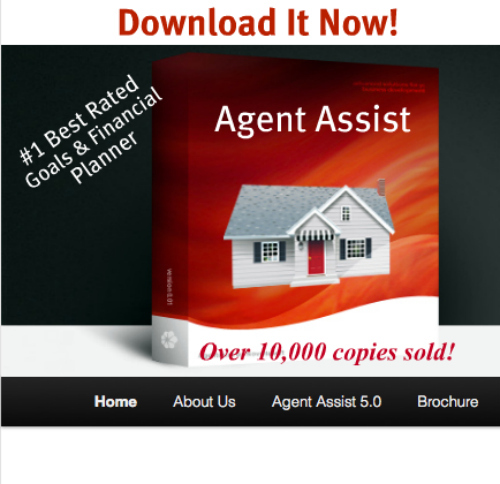 This is how Real Estate Business gets done! Your web-site is great to any one trying to get this caitern subject, from the a number of bloggers feedbacks, i am caitern i am not the only one recognize your websites.